Danish design continues to impress, also in the indoor lighting area. 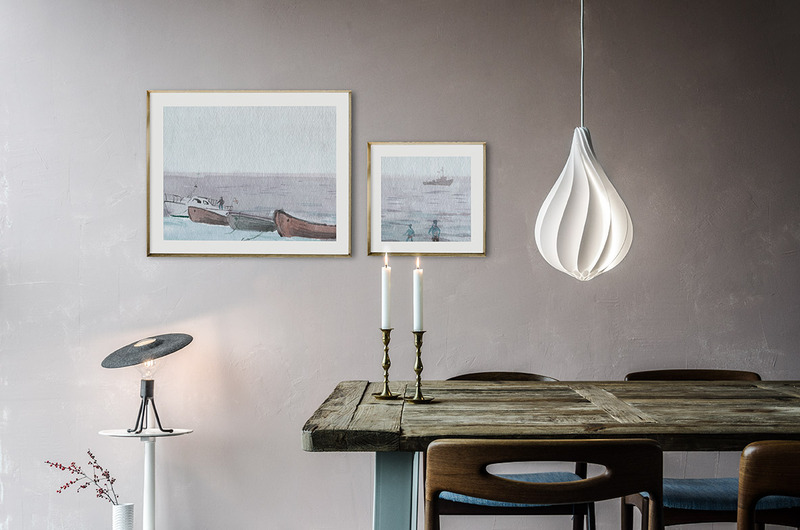 Resembling the beautiful shape of the Edison lightbulb, The VITA Alva is a lampshade with a twist – literally. The spiral shape of this alluring yet simple design seduces with its sinuous, curvy lines. Offering a lively gradient-effect glow, the VITA Alva fits into a wide range of interior decors, from an eclectic living room or kitchen, to a modern bedroom or bathroom. Best in pairs, these lampshades come in two different sizes and can be arranged in a straight line or in a cluster. Sometimes, to get the perfect light, you need the perfect shade. The VITA Shade is meant to do just that! This design piece combines aesthetics with functionality and ensures a simple, useful accessory for the lightbulb. Used on a pendant bulb or tripod, the VITA Shade will help you adjust the direction and amount of light, while shielding any unwanted glare. All you have to do is fine-tune the position of the VITA Shade on the lightbulb.